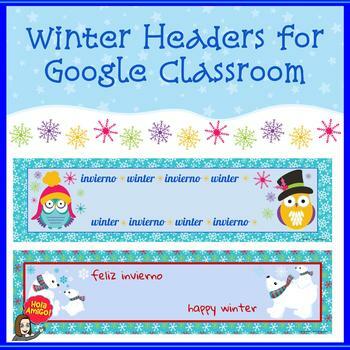 Customize your Google Classroom with these festive winter headers! Headers say "winter" in English and Spanish (invierno). Includes detailed instructions for extracting your files and uploading headers to your Google Classroom page. $3.00 Giant Winter Wall Puzzle!